A Trash Hero wastes as little as possible, reuses as much as possible, and works to preserve and improve the spaces they are in, wherever they may be. We are so proud to be able to share the news of our collaboration with Trash Hero! The Trash Hero mission is to create sustainable, community-based projects that remove existing waste, and reduce future waste by inspiring long-term behaviour change. 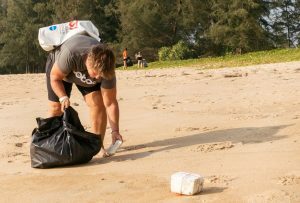 With the support of local businesses, people come together once a week to pick up trash. 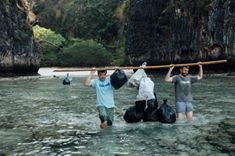 As of September 15, 2015, 5’000 volunteers have removed 100 metric tons of garbage from the beaches of Thailand and Indonesia. Trash Hero also focus on community waste management, local school education and have a bottles and bags programme. 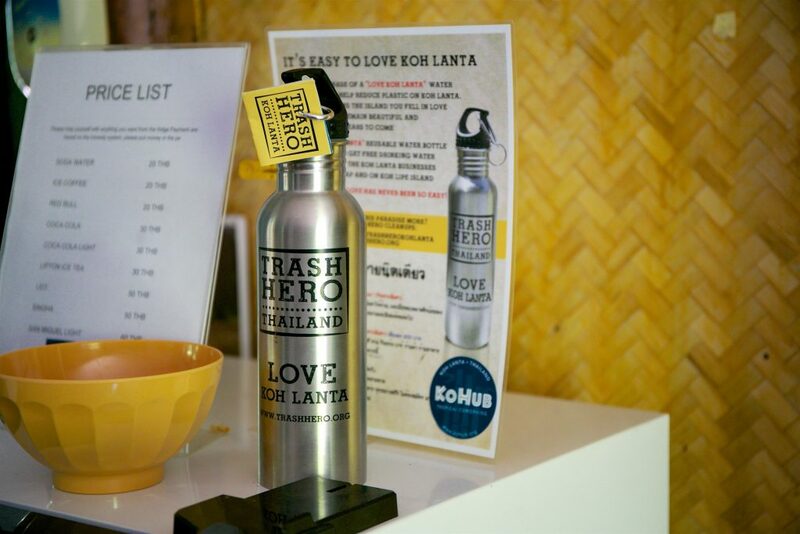 To help reduce the amount of plastic bottles that end up on the beaches, and in the sea, Trash Hero sells stainless steel water bottles to local businesses (at no profit to Trash Hero). Local businesses can then sell those bottles to customers – but only if the local business agrees to have a refill station that provides anyone with a Trash Hero water bottle, no matter where the bottle was purchased, with unlimited free drinking water. So guess what water bottles Coboaters will be drinking out of when sailing with us? Yes, our very own Trash Hero Coboat stainless steal bottles! 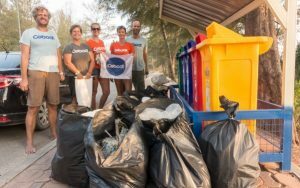 We are really looking forward to supporting the Trash Hero mission, as we sail around the world on our very own mission to rid the seas of pollution. See pictures from our recent beach clean ups here.